Hans-Georg Leidig website (www.leidig-innenarchitekt.de) – offline since 2019. 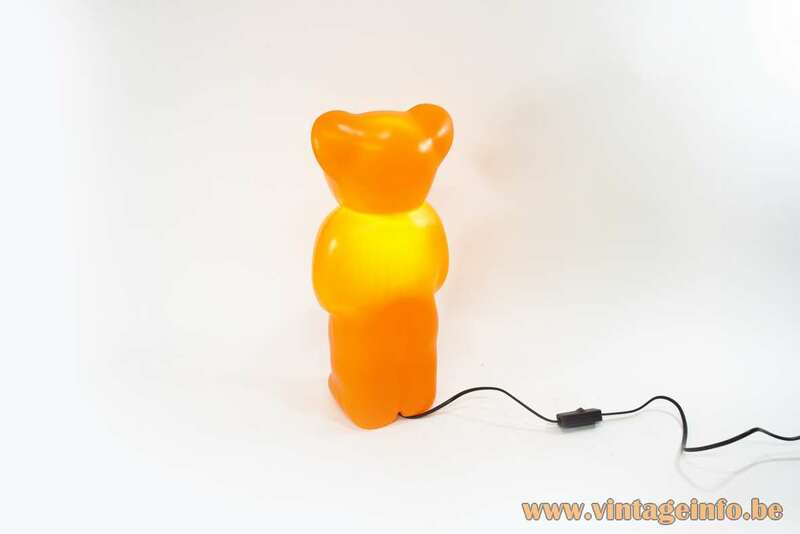 Materials: Orange plastic bear (polypropylene). Electricity: 1 bulb G4, 1 x 20 watt maximum, 12 volt bulb. Transformer 220 to 12 volt. Designer: Heinz Klein and Hans-Georg Leidig in 1995. 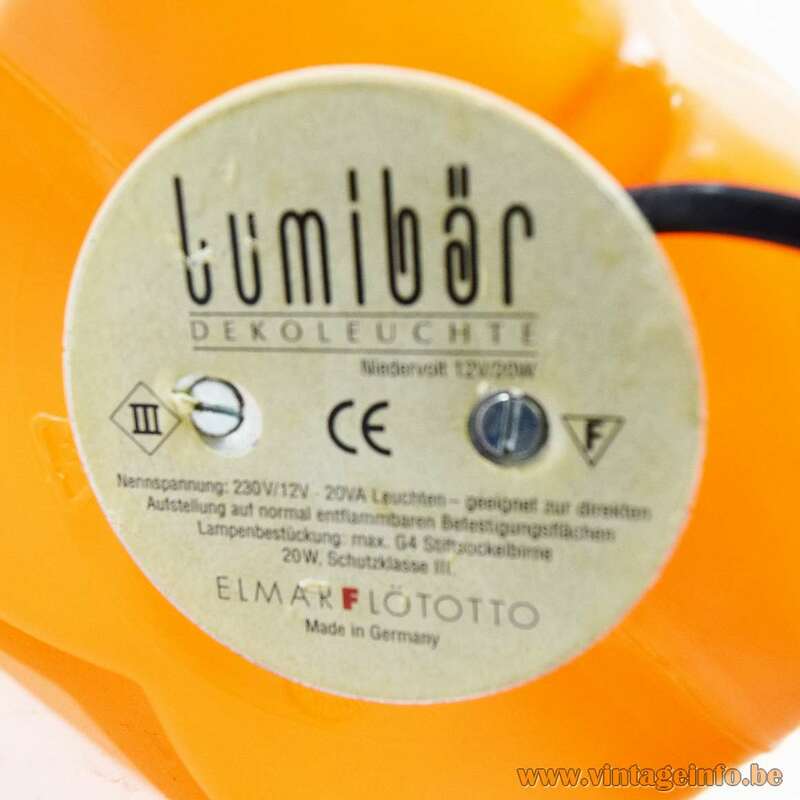 Manufacturer: Elmar Flötotto, Rietberg, Germany. 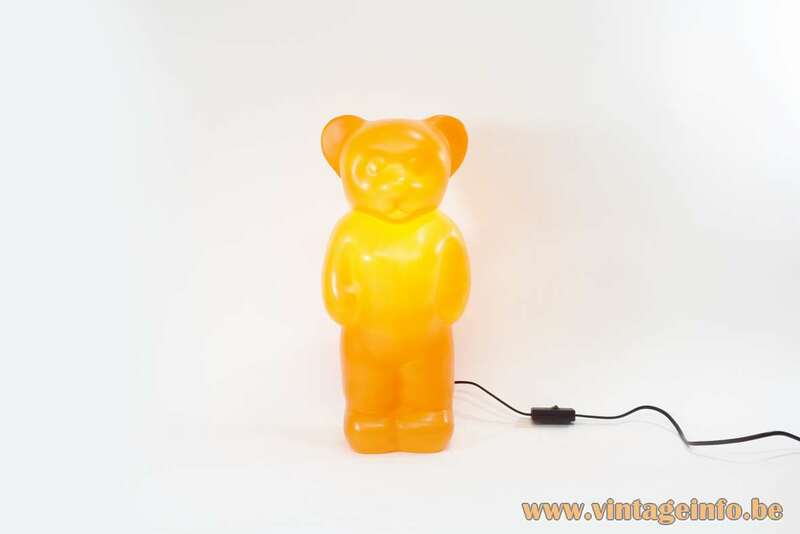 Other versions: The Lumibär (light bear) was made in many colours and sizes over the years. 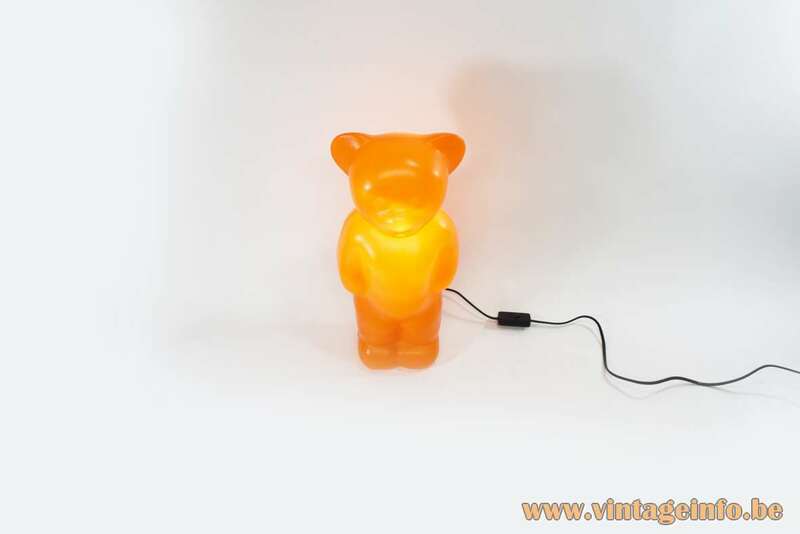 Made as an indoor lamp, outdoor lamp, even changing LED-light colours in a white bear. Still for sale today (2019). 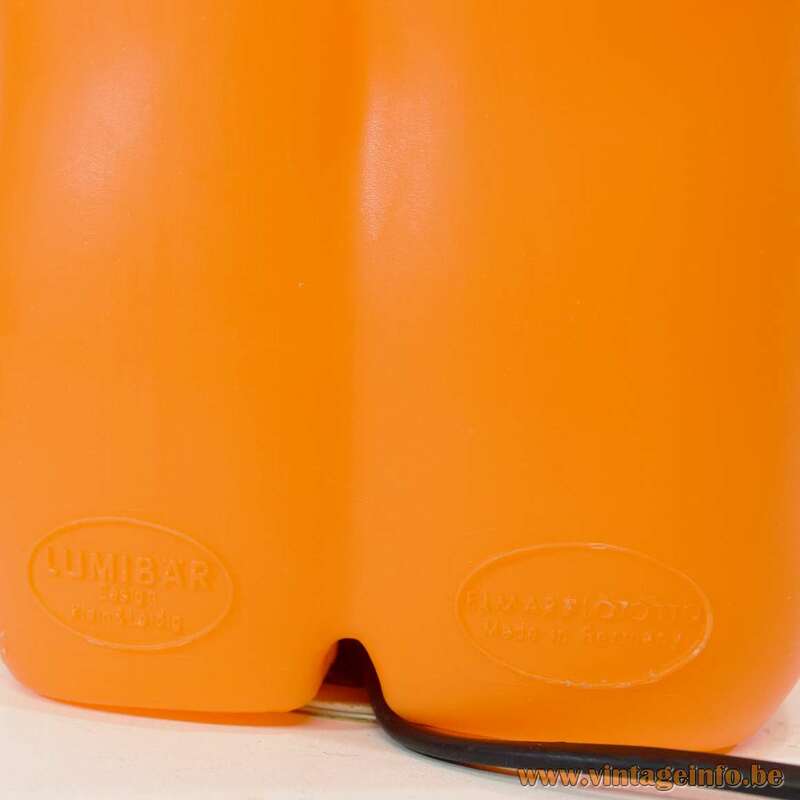 Exists in two sizes: 43 (16.92”) and 58 cm (9.05”) high. Also made in a seated version (35 cm / 13.77”). Spare electric parts are available. Can be transformed in an angel bear: Wings are for sale. Many imitations were produced, beware! Described in the books: La COTE du design 1980.1990.2000 – edition 2011-2012, page 80. 1000 Lights 1960 to present – edition 2005, Taschen, page 424-425. Elmar Flötotto is a family run business in it’s fourth generation. The company was founded in 1906 by Heinrich Flötotto as a furniture joinery business in in Gütersloh (Avenwedde), Germany. After World War II, in 1946, Heinrich’s sons Fritz and Franz continue his work. They now have a sawmill, as well as a home furniture and school furniture factory. In 1951, Flötotto expands with a chipboard plant in Arnsberg in the Sauerland region, some 50 km / 30 miles from Dortmund. Between 1969 and 1991, the third-generation descendants of the founder take over the company they have inherited. Flötotto is bests known for the shaped seat, patented on a global scale in 1952, and 20 million chairs have already been sold around the world. The seat shells are made from PAGHOLZ® plywood. Today (2017) Frederik Flötotto is the CEO of the company. Heinz Klein was born in 1944 in Troisdorf-Sieglar in Germany. Since 1971 he is self-employed with an office for interior design and design. He made successful designs of furniture, furniture systems and fixtures for leading international companies. Heinz Klein won several design prices. He is a painter, musician, author and designer. Hans-Georg Leidig was born in 1953. After an apprenticeship as a carpenter with subsequent company studies, he studied interior architecture at the University of Applied Sciences in Mainz, Germany. After his studies in 1980, he has been working as an interior architect and designer. Leidig owns an interior design and design firm in Troisdorf, Germany, not far from Cologne. He received several awards for his designs. 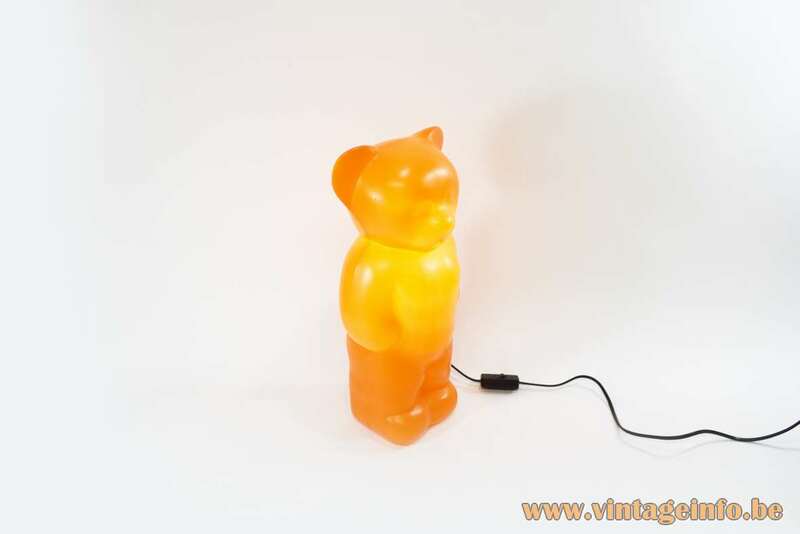 Today (2019) the German company Heico sells their version of a plastic bear table lamp. 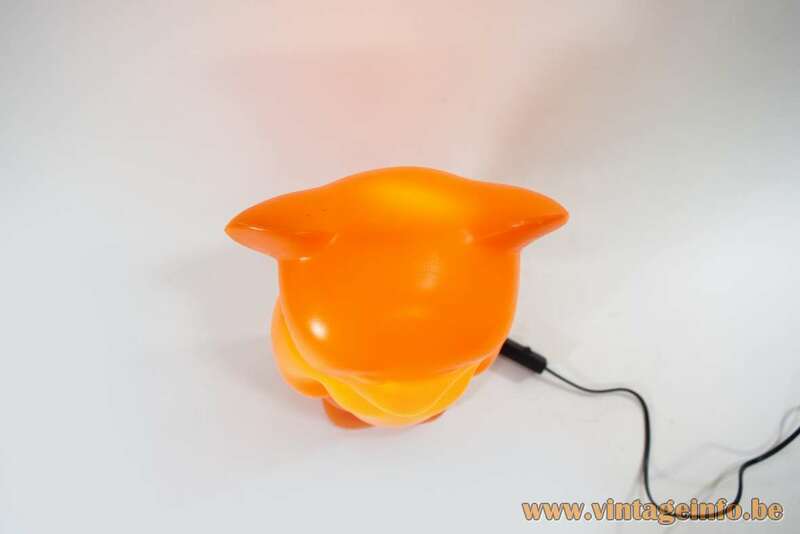 Heico produces many lamps for children rooms.